When you’re vulnerable to predators it pays to stick together and have a good lookout to warn you of danger. 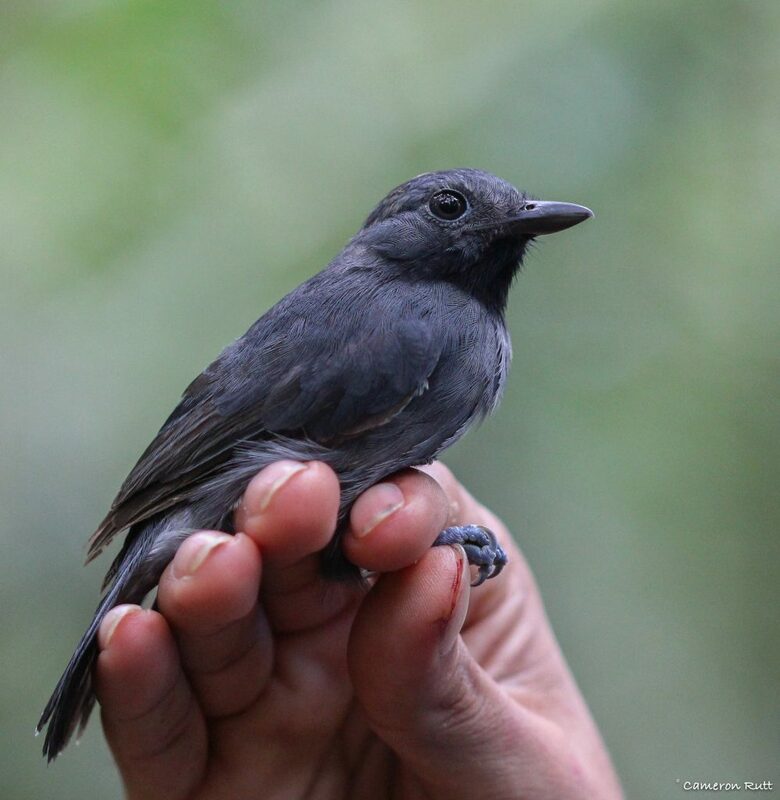 The dusky-throated antshrike (Thamnomanes ardesiacus) doesn’t look important but he’s quick to notice the presence of hawks and falcons and has a distinctive alarm call that wakes up the forest to impending danger. It turns out that he’s key to the foraging location and cohesion of his mixed species flocks in the Amazon. Early this year, a study by San Francisco State University temporarily removed dusky-throated antshrikes from their mixed species flocks in Peru. They discovered that within hours the flocks left their semi-open mid-story locations for denser parts of the forest. Often the flocks without an antshrike completely dissolved. Read more about the study here in Science Daily. Different subject that I am sure you have covered sometime in the past. That is seeing Bats in winter. Yesterday I was raking leaves and it was starting to get pretty dark. As you know it was pretty warm yesterday. Well just as I was finishing up I heard a high pitched bird like noise overhead. I looked up and saw two bats! I had never seen bats in December before! I guess they felt it was well enough to come out of hibernation for a day and scoop up some yummy insects. So do we know what bats hibernate and what ones migrate? Or is that no so simple of a science for bats? Gene, I have seen a pair of bats in late afternoon too, though my experience was in a park in Kutztown, PA on the Sunday after Thanksgiving, Nov 25. I don’t know much about bats but it seemed odd to me … except that there were a lot of of bugs out that day. I’ll try to find out more … but maybe it’s a situation that’s in flux because of climate change or disease so not easy to answer.